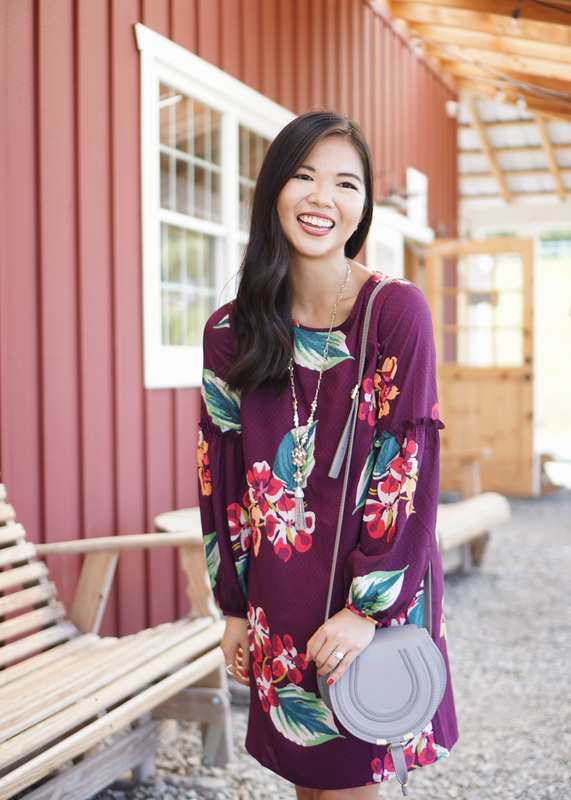 Tropical florals for fall? Groundbreaking. But, seriously — you don’t find the words “tropical” and “fall” in the same sartorial sentence very often, let alone on a piece of clothing. 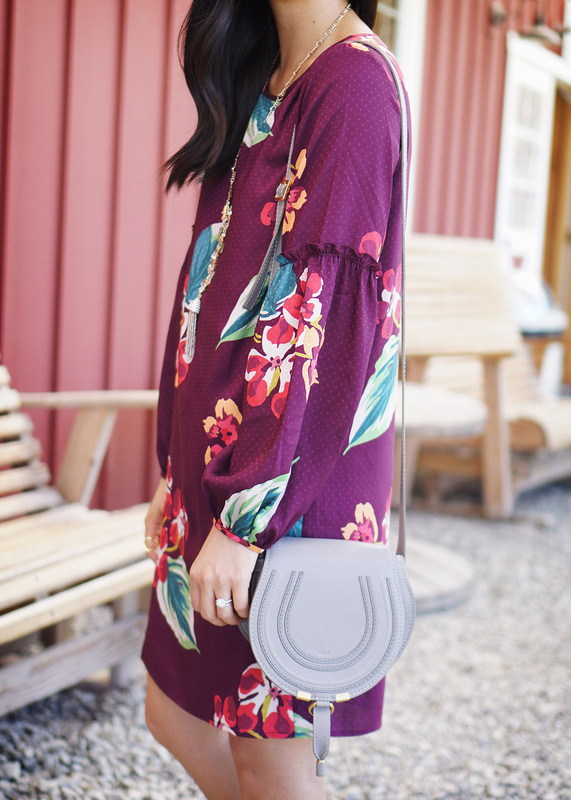 So when I saw this burgundy floral dress at LOFT, I knew I had to have it. 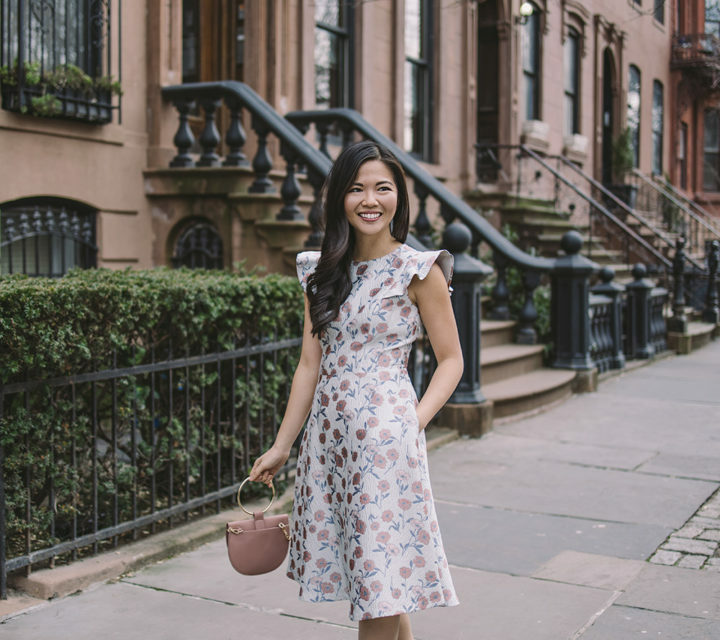 I’m a big believer that you can never have too many floral prints in your wardrobe (although my husband might disagree), so I’m always looking for a different ways to wear it for every season. 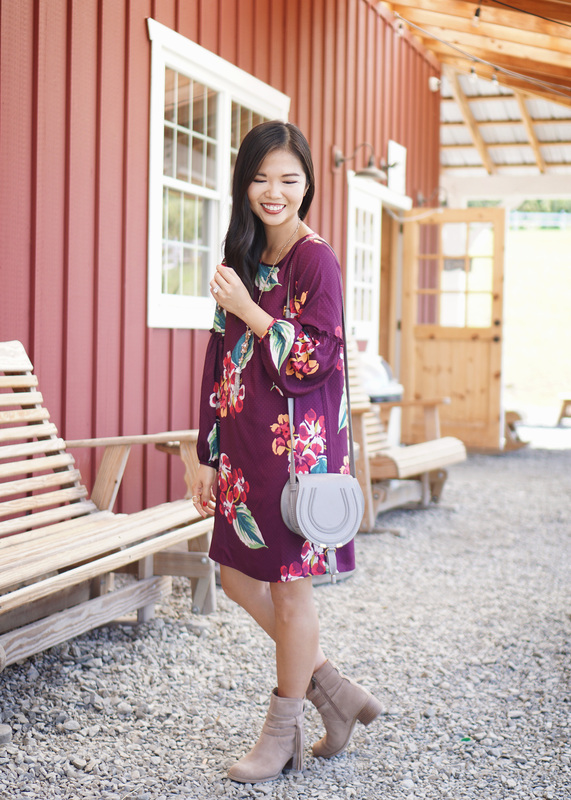 When I first saw this dress, I was attracted to the billowy sleeves and the burgundy color combo. It looked so perfectly fall that I didn’t even notice that the print was made out of tropical flowers. I love it paired with ankle booties, but when it gets cooler I think it would look amazing with some over-the-knee boots. P.S. 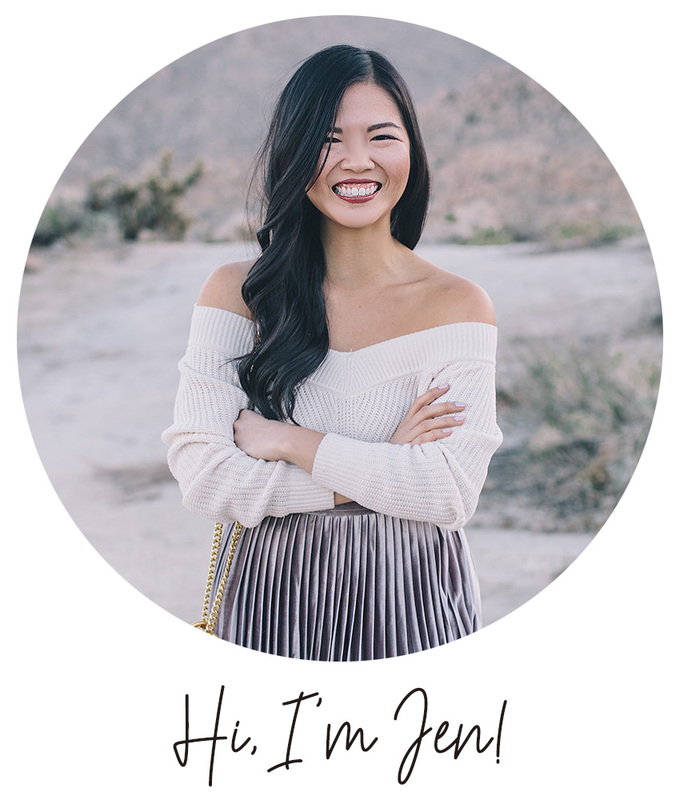 If you love the print as much as I do, it’s also available in a blouse, sleeveless top, romper and scarf! 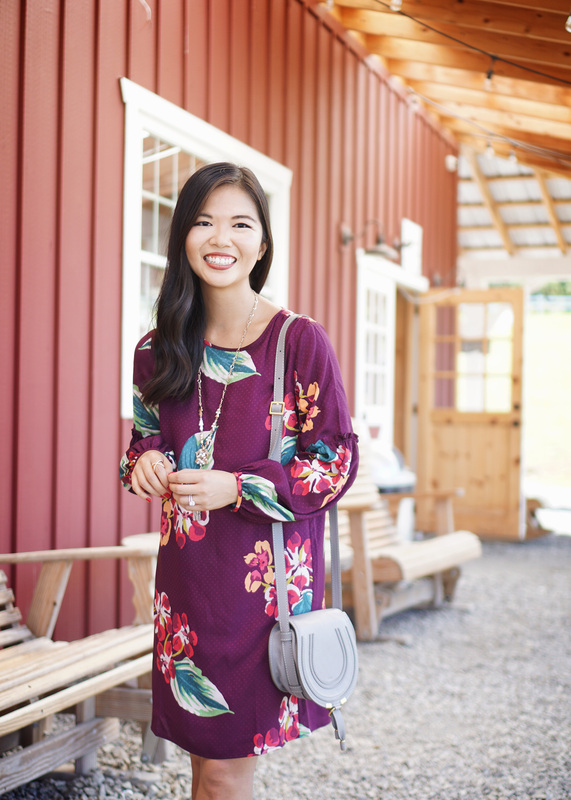 Fall Florals? Yes please! I love the deep burgundy color of your dress and the tropical florals are so pretty!